I picked up this DVD set at Giant Tiger. I for one love 90210. Season 1 and 2 were awesome lots of storylines and characters to follow. Now in it's third season the show just keeps getting better...unlike Gossip Girl! It was pretty cool how characters from the original show made special guest appearances. 90210 is a show about teens at a Beverly Hills high school living the high life with wealth and prestige which just happens to be the perfect backdrop for the their teen angst problems. It is a remake of the original Beverly Hills 90210 which aired from 1990-2000. The price is on par with what Ebay and Amazon sells it at so it's not a deal or savings. There are some good features including featurette's, a follow me around video with one of characters and blooper reels. I want to get season 2 but it's still on the pricey side of TV box set's, so I will wait until it goes down in price. Anybody else love or watch 90210? We all know how I feel about Sigmas brushes...especially the face ones but these new brushes from Sigma blow my MAC ones out of the water. These brushes are soft, they shed minimally, the cost is surprisingly low and they look and feel like professional high end brushes. I purchased the Synthetic face kit shown above for $42 US 4 months ago and that price is more than justified once you use and feel these brushes. Application on your face is flawless and soft. It feels like butter gliding all over your face. I personally use the stippling effect and then swirl. 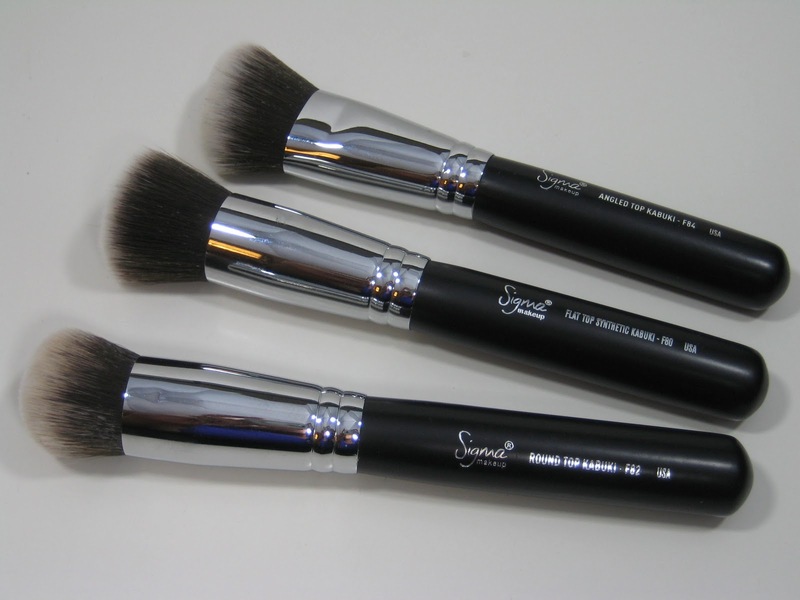 These brushes are made of synthetic materials which for this brush works. I've used countless other synthetic brushes and never have they come close to the feel and use of Sigma's Sigmax brushes. I have been using these brushes practically every day for 4 months and I am more than satisfied! The flat top F80 brush is my favorite of them all. It works like a flat top kabuki with a long handle. It works just as well as my Dior Flat top brush but minus the price, the shedding and the crappy handle that the Dior brush has. If you are going to purchase just one brush from the Sigmax line this is the brush to get and for $16 that is a steal! - None that I can think of at the moment! I was going through my closet and found some makeup stashed away in the back. How it got there I do not know. One thing I found is Makeup Forever HD powder in a small MAC jar. The powder had solidifed and attached to the side of the jar. It was an odd sight I tell you. The consistency became almost fuzzy like. I thought at first it was mold. It felt like that Playdo type clay that was fuzzy I used to play with as a kid. Powder cosmetics is the last thing I would think to go bad because well... its powder. Usually it is things like foundation and mascara that we pay attention to. My only logic is that since the back of my closet is cold, even in the summer time, it just reacted to the temperature. Also not being touched or moved for 3 years might have something to do with it. Anyhoo, it was just something I wanted to share with you guys. I actually was fascinated by this when I initially saw it, kind of weird lol. Anyways be safe and have a great weekend! If you have not seen the movie 127 Hours you are definitely missing out on a great movie. It tells the story of a man who went hiking only to be trapped in a canyon with his hand wedged between a boulder and the events that took place with his will to survive. After I watched the movie I went on to Youtube to look for the actual interview that took place 6 months after the REAL event had happened. It was heart wrenching and tough to watch. Aron Ralston (The main character in the movie) went back to the place it all happened. In the Dateline interview they also show footage of Aron (vlogging) shot while trapped in the canyon. 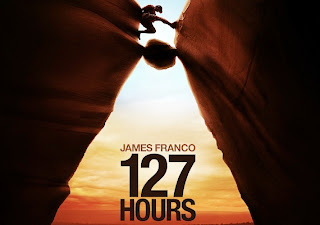 127 Hours has been not only a success at the box office but it is also critically acclaimed making most Top Critics' Top 10 lists. It has been nominated for major categories at the Academy Awards including Best Actor, Best Picture and Best Director. If you have ever seen and enjoyed movies like the 1993 movie Alive or the movie Into the Wild then this movie would be up your alley. It's a movie about will, strength, courage and survival. To me it was a movie I had to be in the mood to watch. I could not just pop some popcorn and play the movie. I don't know about you guy's but there are certain types of movies I have to be in the mood to watch or else I know I wouldn't like it otherwise. All in all I give this film 4 stars out of 5. I liked the style the film was made (Courtesy of Danny Boyle), the performance by James Franco (which is long overdue) and the film wasn't stretched out, long or boring. It got to the point and it came in under 2 hours. I found 2 reviews on it. One from someone at CNET who gave it a thumbs up based on the sound and one from Amazon, also a rave review. I will post the review from Amazon below. Just got the Coby 3D soundbar from Amazon and it impressed me so much I thought I would give it a review. My timing was off...Amazon dropped the price ten dollars to 92 dollars, which is amazing. I know when you think COBY you think of cheap stereos, not hi fi. I read about this and heard rave reviews from the Electronic CES show that just ended. This is currently the only product with the special 3D affect, but it won't be the last. 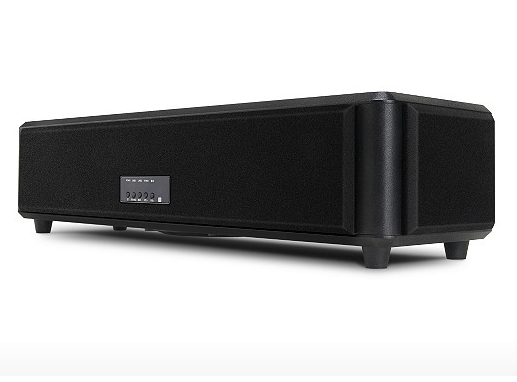 Its size is a little longer than a typical center channel speaker, but much heavier. Very solid construction. This product is hard to describe, but 3D is a good description. When you turn that off, the life of the music goes flat when it is "regular stereo". In fact, the 3D affect is so good that I doubt I will ever turn it off. I know that you are a cynic about special affects, that they have been around on surround sound receivers for years and they usually sound awful. This product sounds bright and clear and the music soundstage is all over the room. The "sweet spot" is everywhere. Is it 5.1 or 7.1 surround sound? No, it has no rear channel affects, but the frontal music is so great that you may not miss it. Let's face it, setting up a surround sound system, with receivers and speakers and wiring and subwoofer is a total pain. It costs a lot and its tricky to configure. Read some of the frustrated receiver users reviews and you will see what I mean. This is crisp 3D sound. Just RCA inputs and a mini plug for your Ipod. No digital, HDMI, Special codecs. But it sounds GREAT! If you didn't see the little box, you would think the sound was coming from a much larger system. Its small enough to use with a smaller TV, but it provides enough sound to satisfy even large screens. I tested it with my 50 inch and 60 inch plasma and it sounded great! The closest product to this would be decent boxes with Dolby SRS, but this sounds much better. At 92 dollars its also a great choice for the Ipod. This box uses 6 speakers and a subwoofer to recreate the sound. Purists will not approve because it does change the music, but I think it makes it better. Every TV manufacturer should include the 3D affect with their larger TVs...but it might cut into the sales of their surround sound systems because I think this would satisfy 80 percent of the public. I work the soundboard at my church and have experience with audio products, so it takes a lot to excite me but this product does. (And NO...I don't work for COBY). I usually would never buy a product without a lot of good reviews on amazon, but I trusted Leo Laporte(the tech guy on the radio) and this impressed him at CES. It will not give you booming subwoofer bass, but it does accurately cover the sound spectrum. I hate that booming bass sound anyway, so its not missed. If you want great stereo sound that has the whole room in its 3D sweetspot, this is an amazing value. Highly recommended if you can get over your preconceived idea's about what is needed to provide good sound for home theatre. I may get the 7.1 surround system for the living room 60 inch plasma, but this works great with my 50 inch panasonic plasma. It comes with a remote, but the front buttons allow everything access, so I haven't even used the remote yet. So after reading that I was quite impressed especially in conjunction with a reviewer from CNET. I know these days you never know it could be the company itself writing phony reviews. I just really decided to take a gamble with it. There is a 30 day refund not including shipping and handling so worst comes to worst I can return it and be out of pocket for $10 which was the cost of shipping. I have a 40 inch Samsung 1080p HDTV set which cost me $999 two years ago so it is certainly not top of the line when it comes to television sets so I wanted something relatively inexpensive but provided excellent sound quality, not complete surround sound but at least close to as I can get. Being a movie and music junkie I want something that can enhance what I currently have which basically is just the speakers in my TV. I think I will wait to purchase a name brand expensive sound bar/home theater system until I get a nice 55 inch or 60 inch LED TV at least then it will be justified. I think for my room this is suffice for now... or at least I hope. Will do an update when this unit arrives. Can be viewed and or purchased online at Amazon for cheaper at $99 plus shipping.